Do you want people to think you are a phenomenal cook? Do you like Chinese take out?!! I got this from a dear friend when we lived in Monterey, California. I believe it might be originally a Cooking Light recipe. I tweaked this one ever so slightly…but I wish I could say it was mine! I recently took this meal to friends in need, and they both asked for the recipe! Here you have it! I served this over toasted cauliflower rice. Toasting the cauliflower is now my favorite method of making the “rice” or “grits.” Grind 1 head of cauliflower in a food processor (I had to do this in batches.) 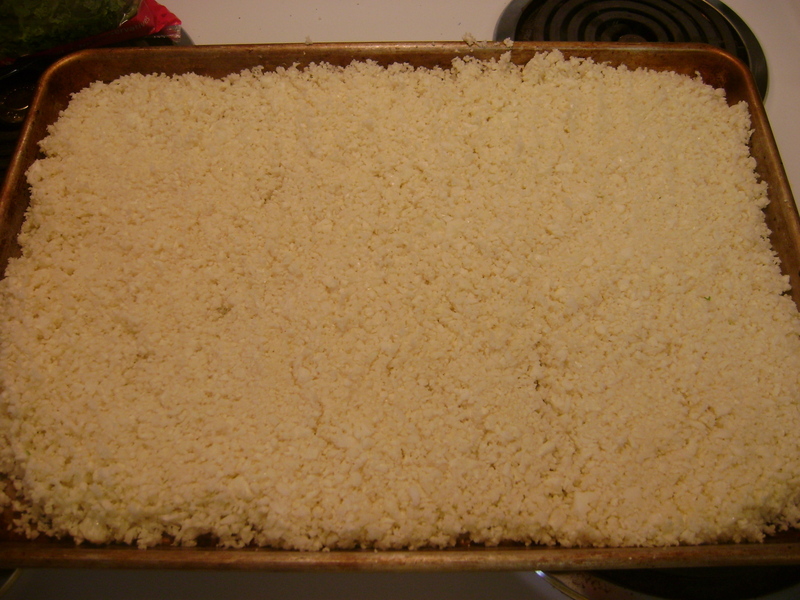 Spread evenly over a cookie sheet or jelly roll pan. Season with garlic powder, salt and pepper to taste. 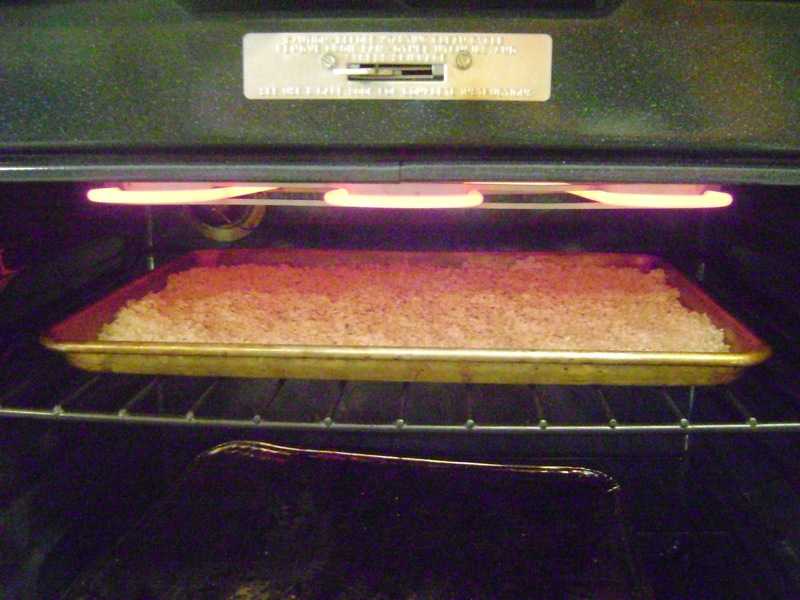 Place under broiler, and watch it until it is toasted on top. 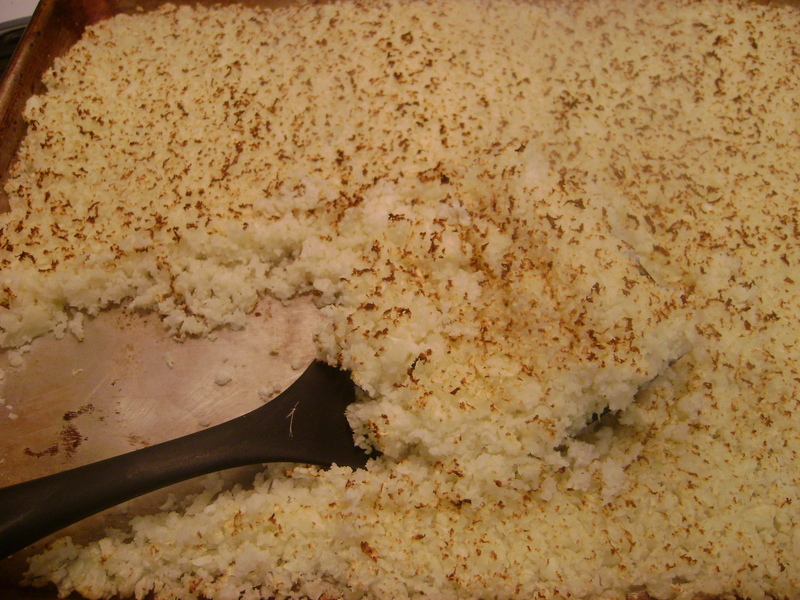 Remove from oven, toss the cauliflower, and redistribute over the pan, re-toast. 1. Whisk together broth, arrowroot, honey, tamari, vinegar, lime juice, cayenne. 2. Heat 1 tbsp oil on medium heat in skillet. Add chicken pieces, garlic, and ginger. Saute’ until chicken is mostly cooked through. Don’t burn your garlic! 3. Whisk the broth mixture again, and add to the skillet. Turn the heat to high. Cook and stir until the sauce thickens. About 1 minute. The chicken looks good, but those eggs make me hungry! 🙂 I’ll try both, asap! you can definitely leave out the cashews if you would like to. the sauce is so tasty over the chicken and rice, I seriously don’t think it would make a huge difference…enjoy! This looks awesome! 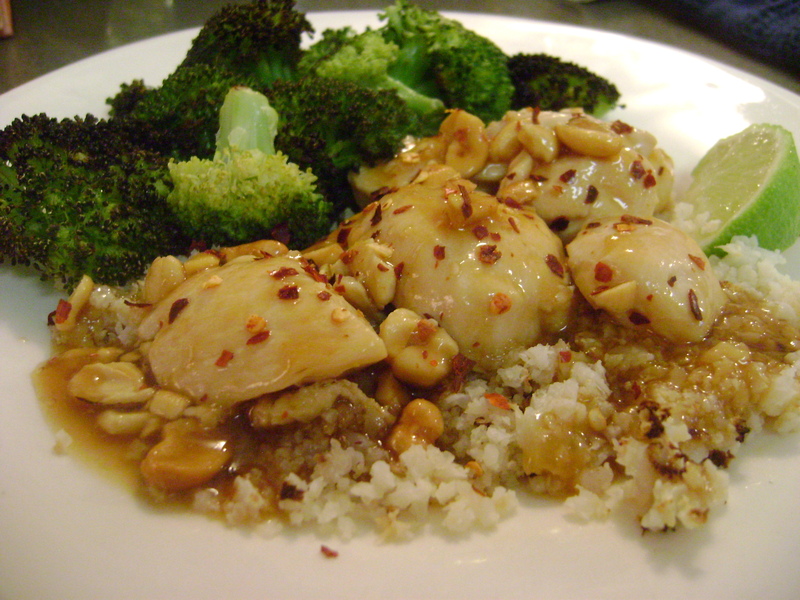 I can’t wait until I’m done with my Whole30, so I can have the tamari and try this recipe! if you are desparate to try it now, you can try coconut aminos. I think you might could find it at Whole Foods. if you try it, let me know how it tastes! This is one of my favourite recipes! 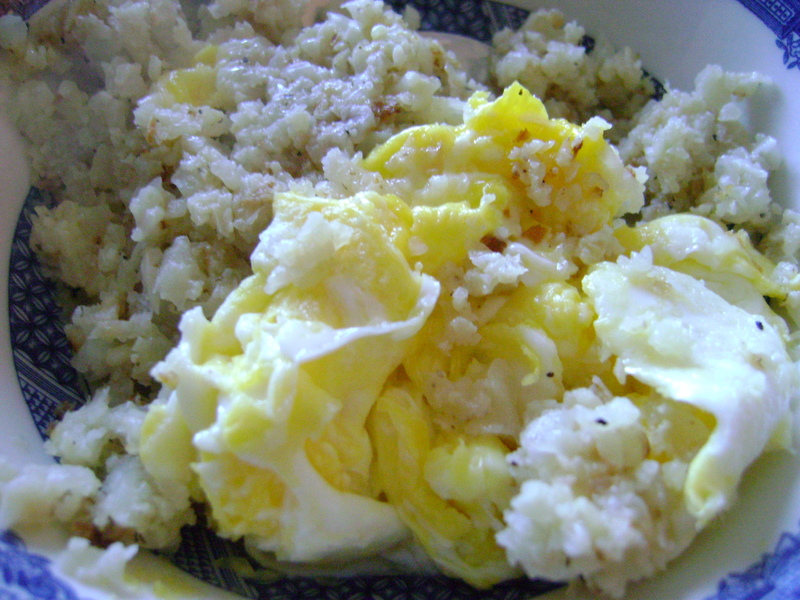 I love the cauliflower rice as a substitute for rice. Thanks!! I love this one too! Thanks for reading!